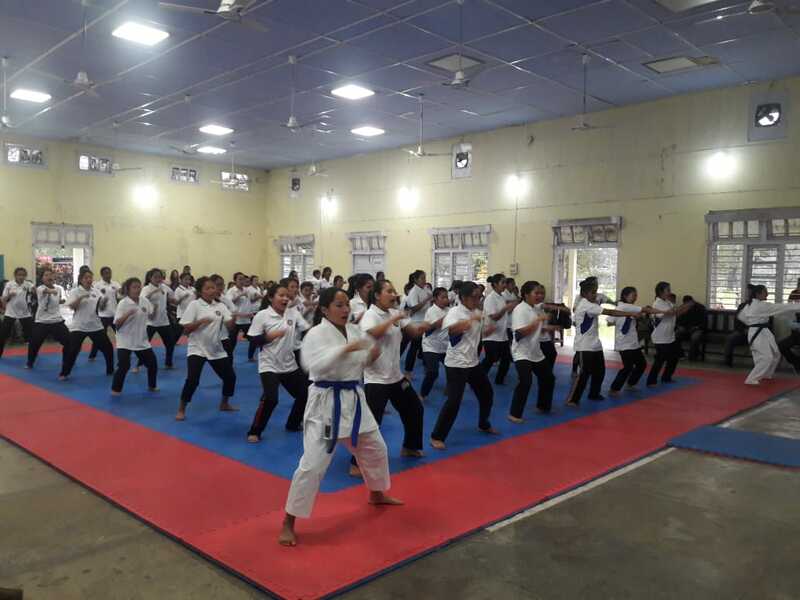 A 10-day programme on ‘Mission Nari Shakti: a self defense training camp for girls’ was held at the premier Jawaharlal Nehru College in Pasighat of Arunachal Pradesh. The training camp that began on March 8 concluded successfully on Monday in which more than 56 girls attended and received training on self defense technique imparted by trainers. 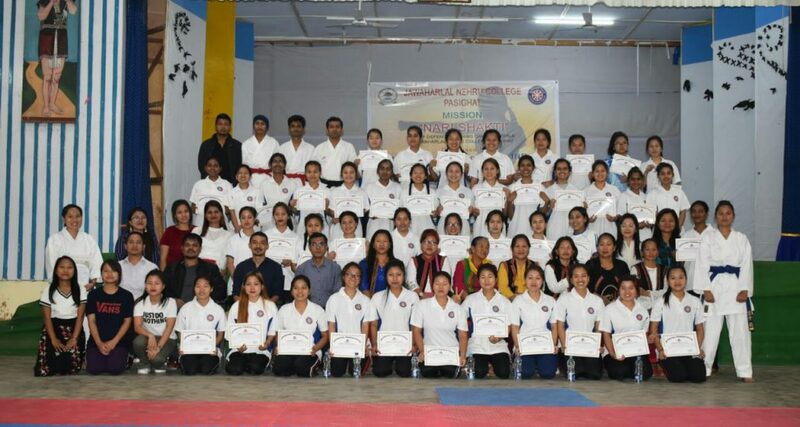 The training camp was organized by National Service Scheme (NSS) of Jawaharlal Nehru College, Pasighat in association with East Siang District Sport Karate do association (ESDSKA), East Siang District Police, Pasighat and Adi Bane Kebang women wing (East Siang Unit). More than 56 girls attended and trained during the self defense training camp, informed, Ing Perme, NSS programme officer. While speaking on the valedictory function on Monday, Prashant Gautam, the superintendent of Police, East Siang district appreciated the initiatives taken up by NSS JNC unit, ESDSKDA and ABK women wings. While Dr S D Choudhury, vice principal JNC, Pasighat also appreciated the NSS JNC unit for organizing such a relevant workshop for girl students in today’s context. Oti Sitang Eko, president of ABK women wing and Deepak Gohain, information secretary of ESDSKDA also spoke on the occasion. Fire brigade team of East Siang Pasighat demonstrated fire fighting and its safety measure. The training programme was successfully organized by the tireless efforts of Dr Kento Kadu, organizing secretary and Ing Perme, both NSS programme officer, JNC, Pasighat. Among others, teaching faculties of JNC Pasighat like Hari Loyi, Liha Mena, Dr K K Jha, Dr Nayak and Dr S N Yadav also attended the programme.